I picked up this single package of Scrub Buddy Extra Quick Eraser at Dollar Tree a while back but finally decided to put it to the test today. I had plenty of gross surfaces to put it to use, just check it out. This door frame between the living room and kitchen get all of Paulie's grubby paws on it so I had to see how well it would work. Simply run the Scrub Buddy under water, squeeze out the extra and scrub away. Minimum pressure needed to get the job done. As it works, the volume of the 'buddy', I don't know, 'evaporates' so when you've given a significant amount of scrubbing to a portion of it there is nothing left to use. That's not a bad thing, just a heads up that it wears out as you use it. Granted I had a pretty big job between this door frame and the next photo below. 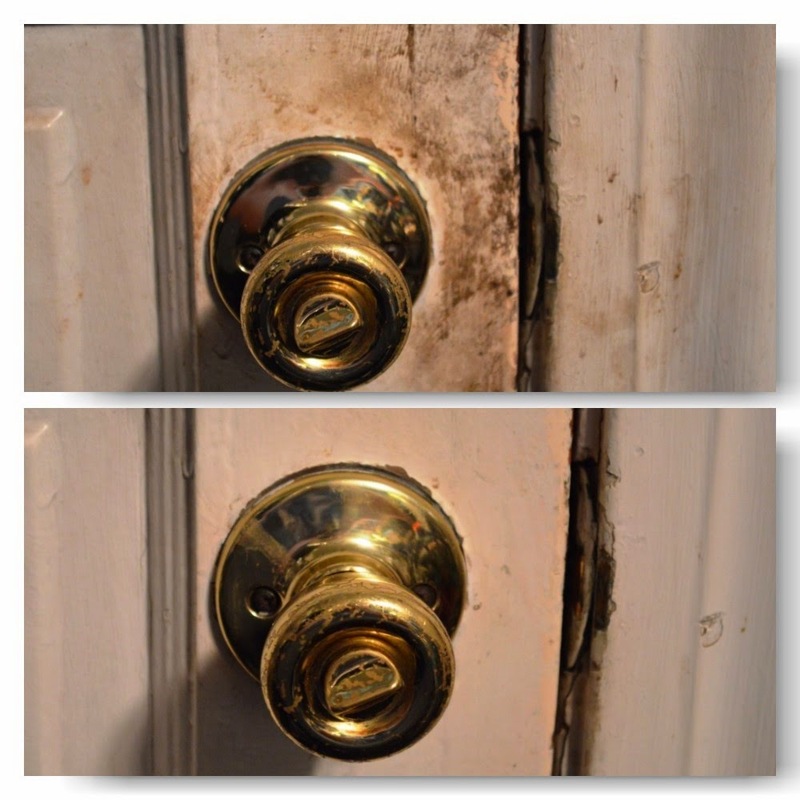 The door knob to the mud room gets a daily work out and it showed it. 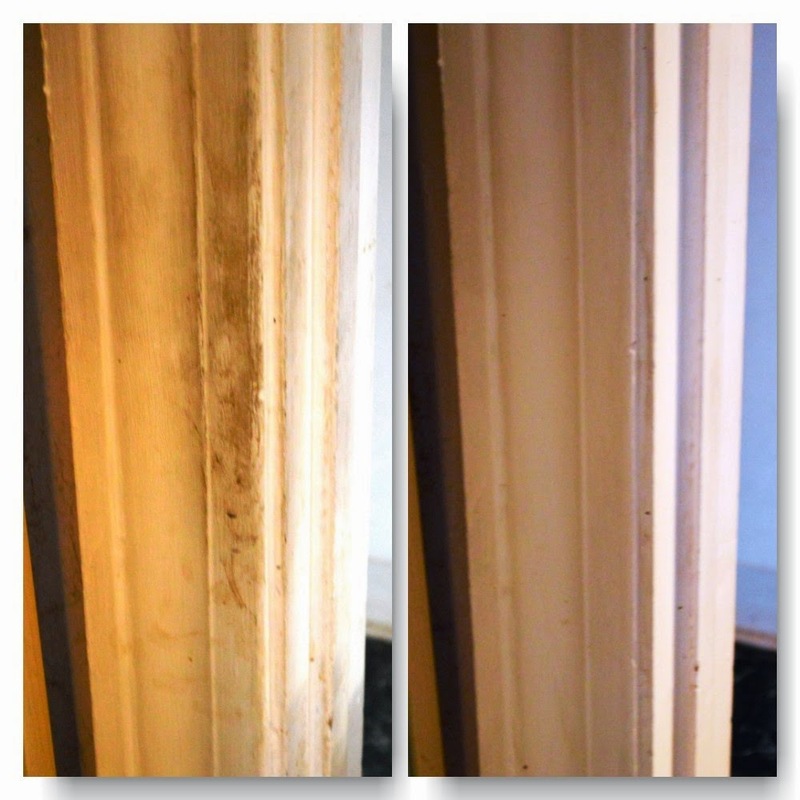 I was amazed by the difference even after a few minutes of scrubbing. Now that the bulk of the nastiness has been dispatched, I will maintain it on a regular basis to avoid it ever getting to this before stage. Who needs to wait for spring cleaning? I'm getting started NOW! I only got one of these Scrub Buddies so the next trip to Dollar Tree I will be picking up a few more to have on hand. Next test drive is in the bathroom on the floor to ceiling tiles, wish me luck. I'm glad to hear you found it useful. I picked up a couple more of these today and another one that I didn't see on my prior visit to Dollar Tree.